As every runner knows, the correct shoe is fundamental to any training regime and subsequent competitive performance. For runners – both seasoned and new – selecting a new set of high-performing running shoes is a significant investment and should be fully informed in order to make the correct choice for your personal needs. Whilst it may be easy to rely on a trusty old pair of running trainers, incorrect footwear can significantly increase your risk of injury and undermine your training and athletic performance efforts. Taking the effort to be expertly assessed and fitted for the correct shoe is a wise investment for both your health and performance. The right shoes for one person, will more than likely not be the right shoes for someone else! There are many different shoe manufacturers out there, with many different models. How do you know which one is right for you? Well, the most important thing is to know what kind of runner you are and what foot type you have. When it comes to buying running shoes, you will no doubt hear the words pronation and supination. These are natural movements of the foot, which everyone does to some extent when they run and walk. The problem comes when the foot over-pronates, or over-supinates (sometimes known as under-pronates). 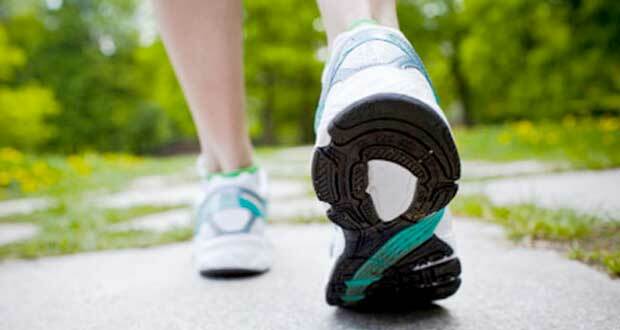 Pronation is where the arch of the foot flattens and the foot rolls inwards as you walk or run. Over-pronation means that too much of this motion occurs. Excessive pronation also causes an excessive inward rotation of the lower leg, knee, and even upper leg, possibly causing overuse injuries such as Achilles tendinopathies, plantar fasciitis and shin splints. Supination is the opposite movement to pronation, causing the arch to rise and foot to roll outwards. Over-supination can also cause injuries, mostly because this causes the foot to be very rigid and so lacking in shock absorbing capabilities. When in the market for running shoes, especially your first pair, you need to determine what happens at your feet when you run. There are many ways of doing this, but the best bet is to have a gait analysis. This involves a trained individual observing your feet and how you move, sometimes filming it so they can slow it right down! So, now you know what foot type you have, but where does this come in when buying your running shoes? Well, different shoes are available to meet the requirements of different runners. Motion control shoes – are designed for people who overpronate. They are heavier and have a rigid arch support to help decrease movement of the foot. Cushioned Shoes – cushioned running shoes are designed for the runner with a neutral foot. This means they do not excessively pronate or supinate. These shoes provide a mix of arch support and cushioning. Stability shoes – are designed for people who oversupinate, as they provide the extra cushioning and shock absorbing that this particularly rigid foot requires. Ever wondered what makes a shoe the correct shoe for you? What effects your personal requirements, and what should you be specifically seeking when investing in the perfect kit? We spoke with running shoe expert Neil Fetherby from Sportlink Running & Fitness about the importance of correctly selecting good running shoes. Gait analysis provides runners with important information about their running style so as to help and advise each person to select the correct type of shoe. Whilst running we can take well over one hundred strides per minute at a force equal to approximately three times our own body weight with each stride. During longer distance runs most people are more likely to land on the outside area of the heel whereby the foot then roll inwards and forwards termed as pronation. This is a natural movement whereby the foot distributes and disperses the impact forces. However and with a high degree of people, signs of over moderate to excessive rolling inwards occurs where the foot rolls inward too far causing the arch to collapse under the pressure of the impact forces. This is termed as overpronation. Sometimes and particularly if the shoe is too soft this movement is exaggerated and caused by the shoe itself. Barefoot gait analysis will accurately measure the natural degree of foot pronation along with leg and body movements for which the correct footwear can then be advised for each person. When overpronation is diagnosed, it is advisable to wear shoes which offer support along the medial section of the shoe. However some shoes offer more support than others and whilst it is advisable to wear shoes that counteract inward rolling, it is important to have an understanding as to the levels of overpronation hence why Video Gait Analysis is important. All our staff at Sportlink have qualifications whereby they have the knowledge, experience, and background to accurately assess each individual. We also take into consideration each person, body shape, and history of running and injuries. Underpronation (Supination) of the foot is when the feet don’t roll in enough i.e. too much lateral movement upon the foot making contact with the ground. This type of runner will obviously require neutral type running shoes with the emphasis being on cushioning and shock absorption as opposed to that of shock absorption and medial support. What else should I consider when buying running shoes? That they are the right ones for you – considering biomechanics, terrain, and the nature of your running training schedule. However and whilst it is important to tick all the boxes by way of ensuring the shoe offers plenty of shock absorption, cushioning and pronation support if required, the most important box to tick is that of comfort. Of course, there are other things to consider when buying a running shoe. Width, fit and comfort are probably the most important. The general advice is to buy a pair of shoes half a size larger than your normal shoe size to allow the foot to move. However, this will vary slightly as sizes are different from one manufacturer to another. Similarly, some manufacturers produce wider shoes than others and so if you know you have a wide foot, make sure you have enough room. Try lots of different brands and choose the best fit. Often, when you have found the right shoe for you, you will stick with this brand in the future! Once you have purchased a pair of shoes which have been recommended for your specific running needs, make sure that it is also the shoe of your choice as if it’s not comfortable then say so before buying as who wants to run mile after mile in a shoe that doesn’t feel right. If in doubt then leave it out! The rule of thumb is usually approximately 500 miles, but that is just a rough guide. Needless to say that someone who weighs 15 stone is going to put more pressure on the midsole than someone who weighs 8 stone and when you consider that there is approximately three times your body weight being absorbed through the midsole with each stride the heavier person is going to break down the cushioning and shock absorption properties much quicker. The foams used can also differ particularly with some of the more lightweight and lower budget shoes. I always liken it to having a Yorkie chocolate bar in one hand and an Aero chocolate bar in the other. They may look similar on the outside, but when you cut them in half the Aero bar is light and fluffy and the Yorkie far more dense which of course will last longer. At the end of the day, you will usually know – i.e. when your current running shoes suddenly feel flat and hard when training. Something else which confuses some novice runners is the limited wear on the outer-sole which lasts far longer than the midsole. If the outer sole has worn out then the midsole is normally long past it’s best before date.